Other Ingredients: Capsule (cellulose, water), magnesium stearate, and silica. As a dietary supplement, adults take 1 vegetarian capsule daily, or as directed by a healthcare professional. DESCRIPTION: Turmeric is a traditional Indian culinary spice and Ayurvedic medicine that has been utilized for a wide array of medicinal purposes. Its most common traditional use has been to promote proper digestion. Even the German Commission E Monograph on turmeric describes it as an approved medicinal herb for dyspeptic (indigestion) conditions. In the last decade, turmeric has received tremendous attention and numerous clinical studies have confirmed its health-promoting effects and specifically supporting a healthy inflammatory response. FUNCTIONS: Antioxidant nutrients are necessary to protect the body from the destructive effects of harmful molecules that cause oxidation. Because these molecules are highly reactive, they are called reactive species and have a strong tendency to grab an electron from other molecules and damage delicate cellular structures, unsaturated fatty acids and even DNA. Thus, the role of antioxidants is to prevent this damage by balancing the pro-oxidative/anti-oxidative states of the body. Oxidative stress is a term given when oxidation outpaces the body’s ability to neutralize free radicals and is a key factor in the inflammatory process. These reactive radicals and oxidants may injure cells and tissue directly via oxidative degradation as well as injure cells indirectly by altering signaling processes that exist within the tissue to be pro-inflammatory. Antioxidants may help play a role in regulating inflammation by neutralizing free radicals and contributing to a normal and healthy inflammatory response. Turmeric contains a group of compounds called curcuminoids that have shown to possess potent antioxidant properties. 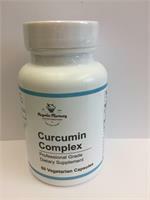 Curcumin is the main yellow constituent of turmeric and most biologically active as a potent antioxidant. Curcuminoids have also been shown to inhibit the metabolism of arachidonic acid (a proinflammatory fatty acid) by inhibiting cyclooxygenase-2 (COX-2) and lipoxygenase enzymes. Collectively, turmeric’s ability to support a healthy inflammatory response is a function of its antioxidant properties and inhibitory effect on mechanisms that support inflammation. 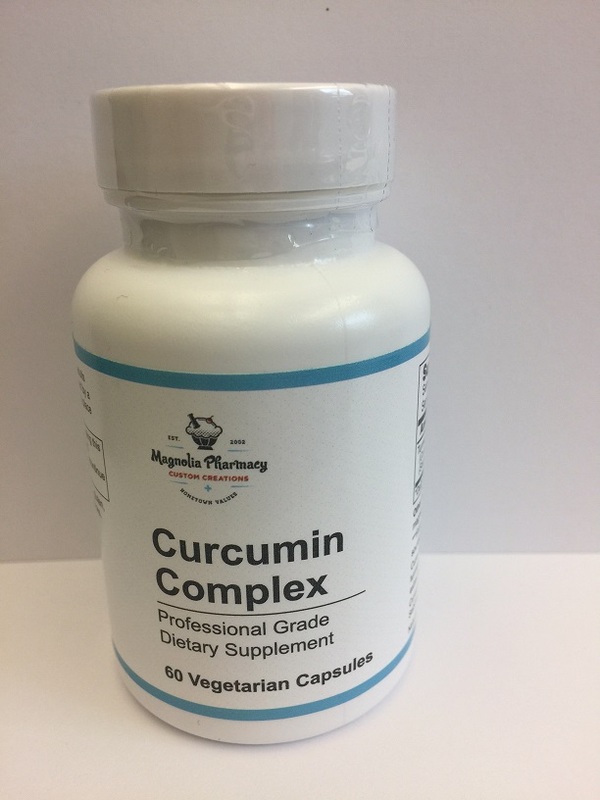 Curcumin Complex features Sabinsa’s Curcumin C3 Complex®; made up of three main chemical compounds: curcumin, demethoxycurcumin and bisdemethoxycurcumin, collectively known as curcuminoids.